"I don't know how to organise thoughts. I don't know how to have thoughts." Welcome to this edition of my Arts 'n' Crafts series. 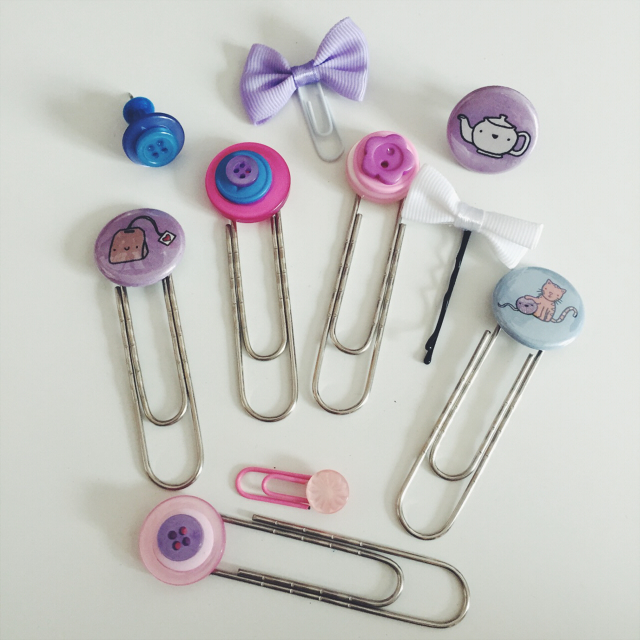 I recently started using my neglected Pinterest account again and while browsing the many pins I came across one about Filofax setups. 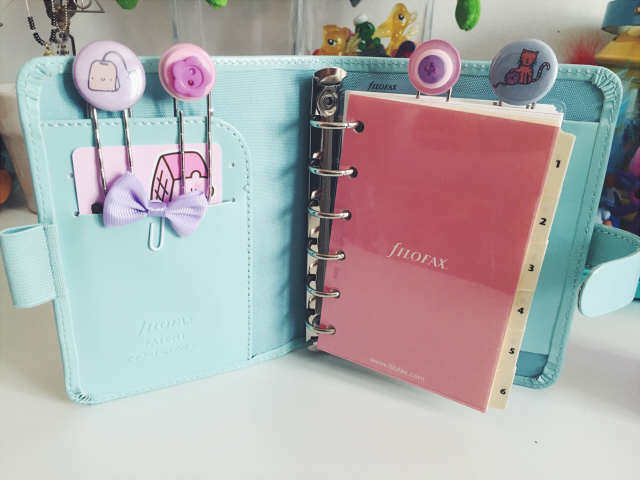 After a little investigation I found Filofax and planner customisation is a big thing. There are countless videos of different setups on YouTube and blogs dedicated to it. Etsy is overflowing with cute and practical print outs. To do lists, dividers, monthly calenders, weekly calenders etc. 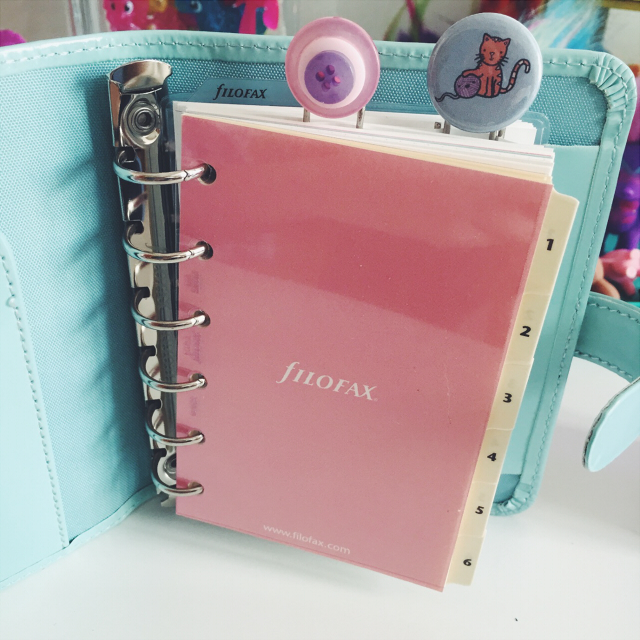 I've always loved stationery but looking into all the different ways I can make my Filofax more fun and get better use out of it really opened my eyes to so much more stationery I could have! But not only things that I could buy, some I could make myself. And that brings us to this post. I decided to make some bookmarks out of various bits and bobs I already had and also to make some pins for my pin board a little cuter. I used large paper clips I got for hanging things in my old rat cage, I knew I'd find another use for them! 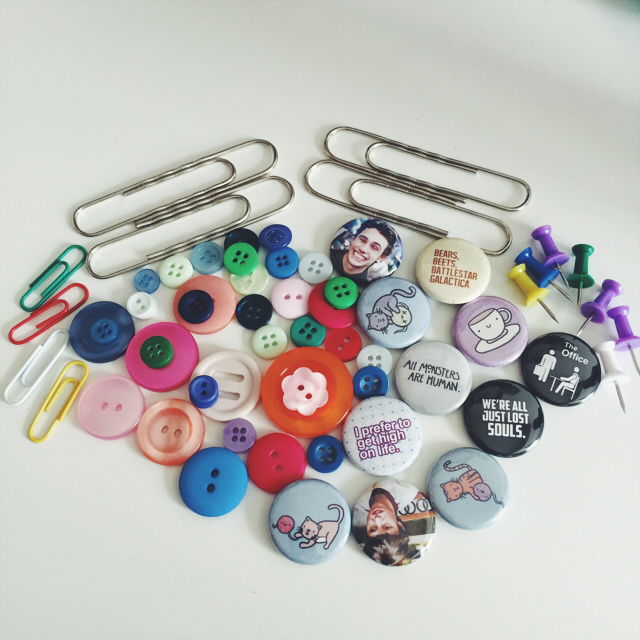 An assortment of buttons of different sizes, small paper clips, pins and pin badges. I love pin badges but these ones have just been in a drawer waiting for a use. I do have a bag with some on but I find they fall off pretty easily so I don't like having too many on. So I was happy to have a way to repurpose them. 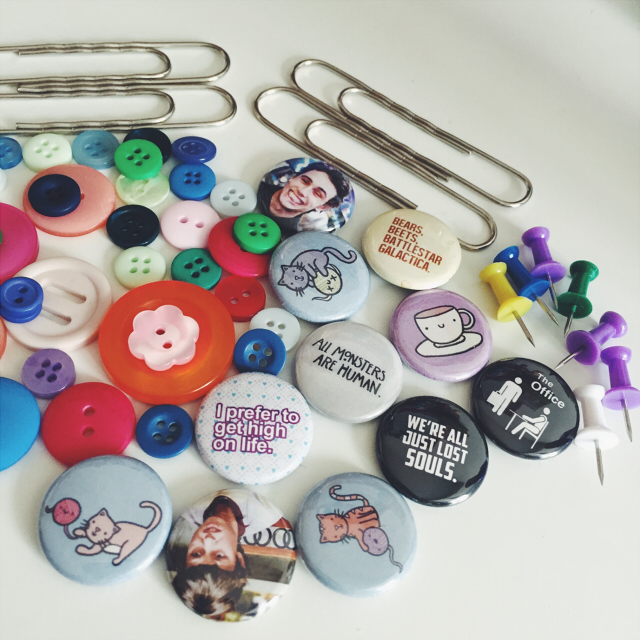 These badges are all from Etsy. The last embellishment was the only thing I didn't have already in the house. 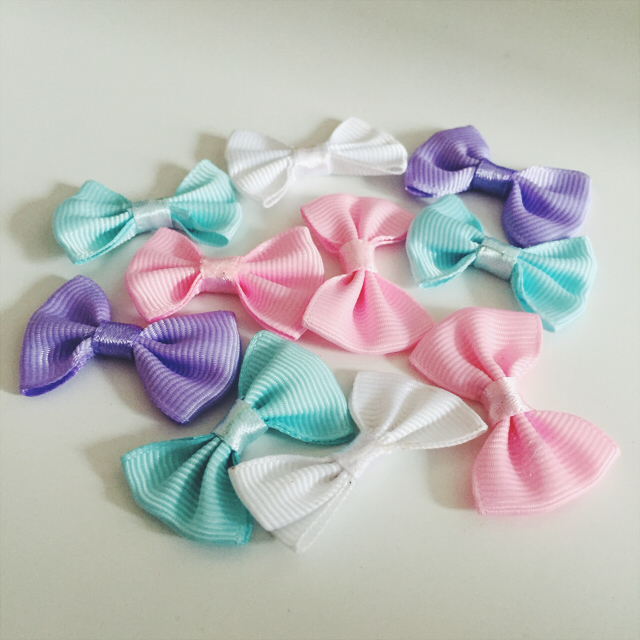 I seen these cute bows for £1 for 12. I thought the colours were just perfect for the look I'm going for. 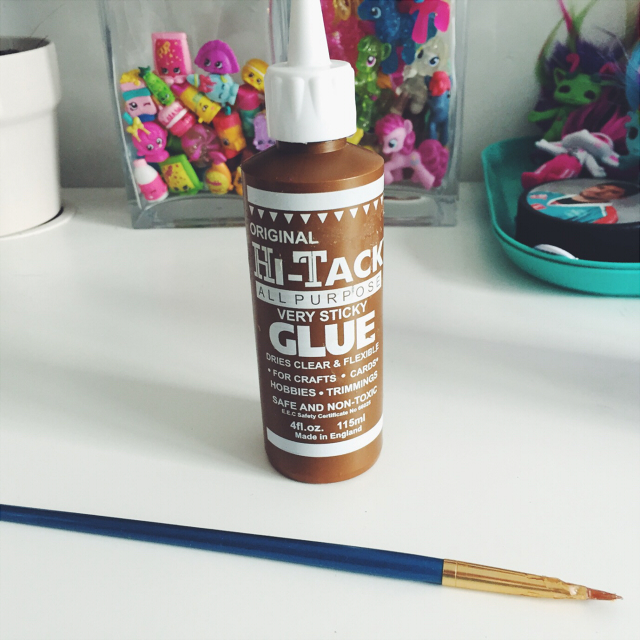 Finally, I used Hi-Tack all purpose glue and an old paint brush as an applicator. I LOVE this glue. I use it for everything. 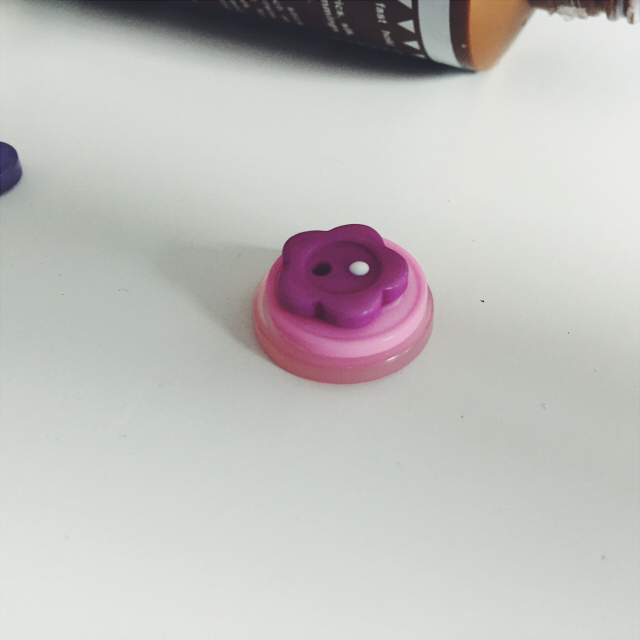 It dries clear and flexible and has great hold. This isn't really going to be a step by step tutorial but I will show you what I did. 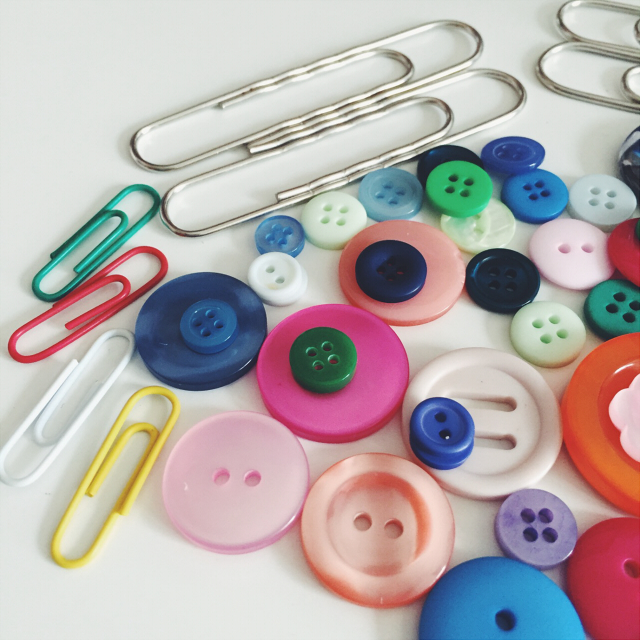 I picked a button that would be big enough for the end of the large paper clip and then two smaller buttons to stack on top, making sure the colours complimented each other. 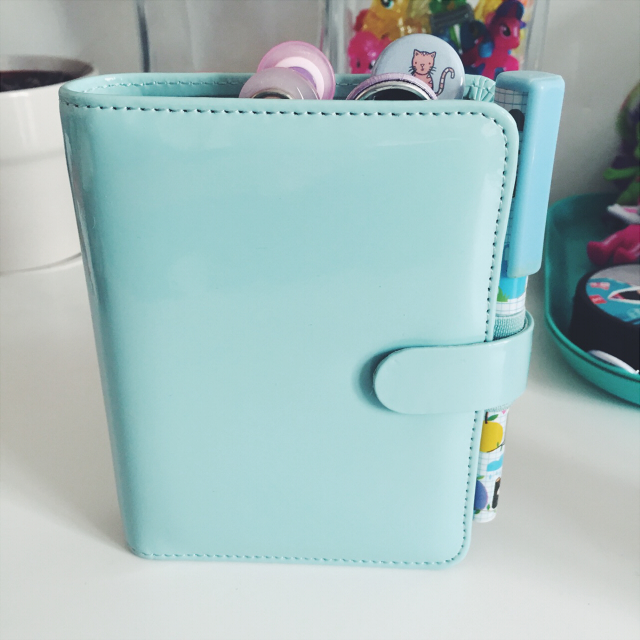 I ordered a new Filofax this week as I'd been tempted by the patent duck egg blue one for quite a while. The deep pink leather (look, I think?) not really my style. So I chose colours with that in mind. I've decided my theme will be pastels, mostly pinks, purples and blues. I know, I know. 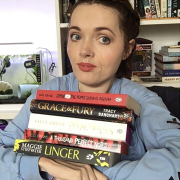 Typical blogger, right? 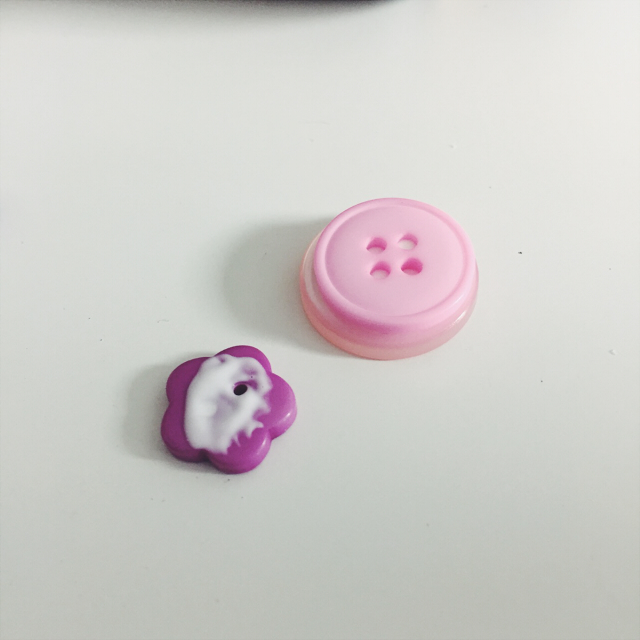 It's all pretty common sense but basically I glued the little stack of buttons together. I left the stack to dry off until the buttons wouldn't slip out of place. I then stuck the paper clip to the bottom of the stack, making sure there's plenty of glue so there's a good hold. The glue does take a while to dry so I rested the paper clip on something. 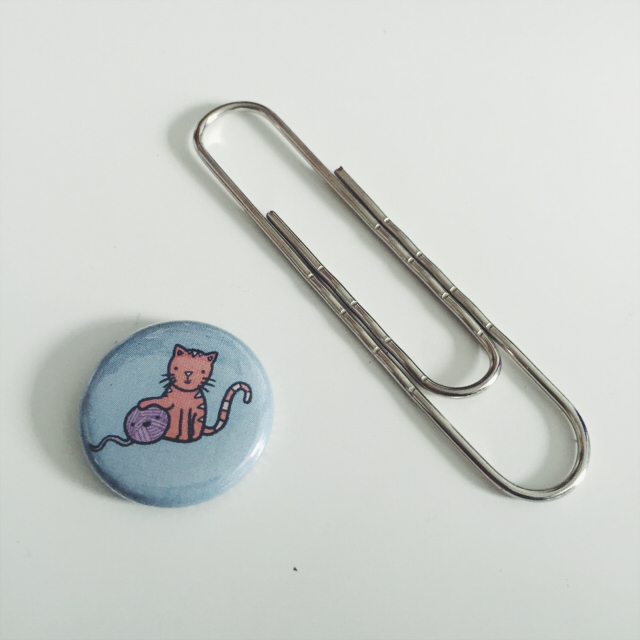 Then I set about attempting the same with a pin badge. 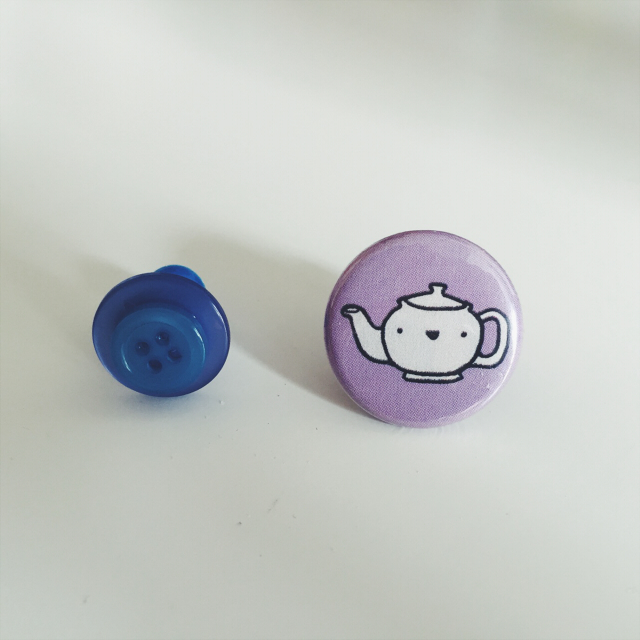 I wasn't sure how well it would work as the pin badges aren't flat at the back. 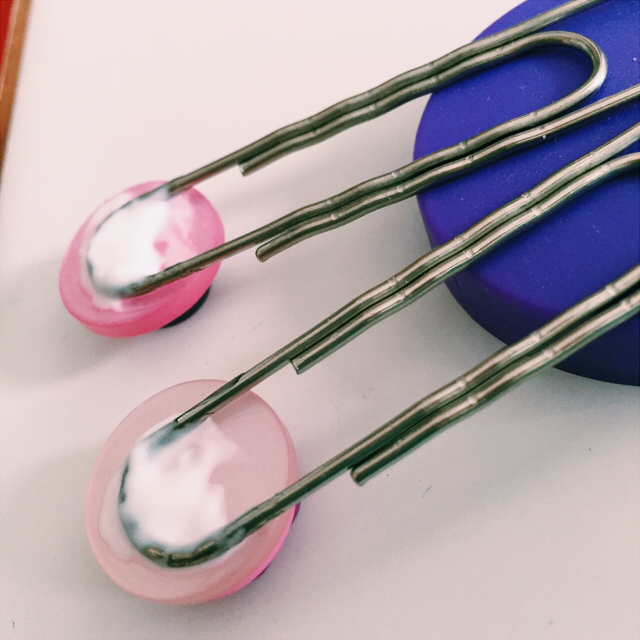 However, the paper clips fit snug behind the pin. 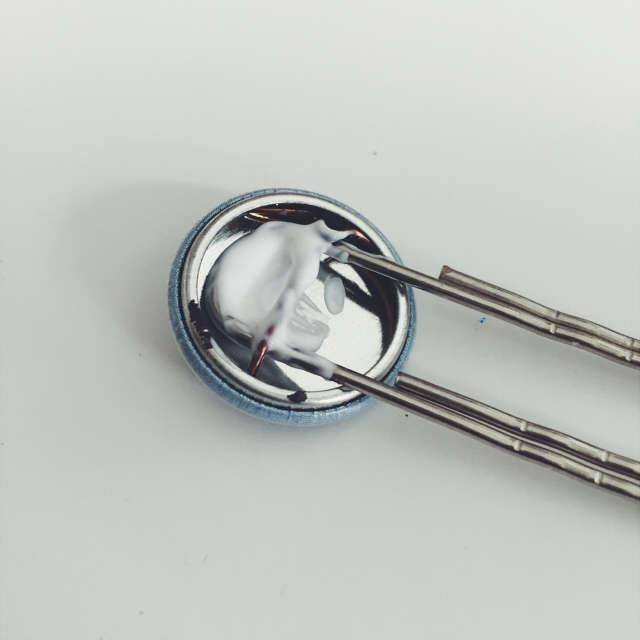 I then added the glue, making sure to put some on the pin for extra hold. 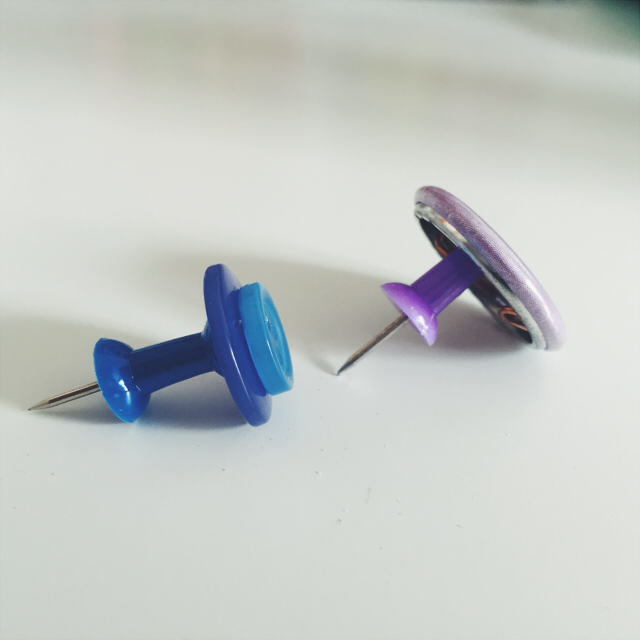 I then did the same with some pins for my pin board, adding buttons to one and a pin badge to another. 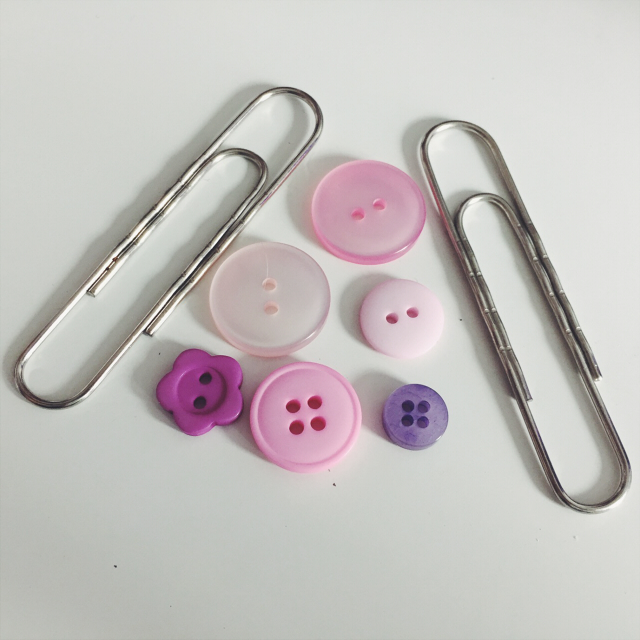 I also used a small paper clip and added just one small button to it. Then I left them to dry. 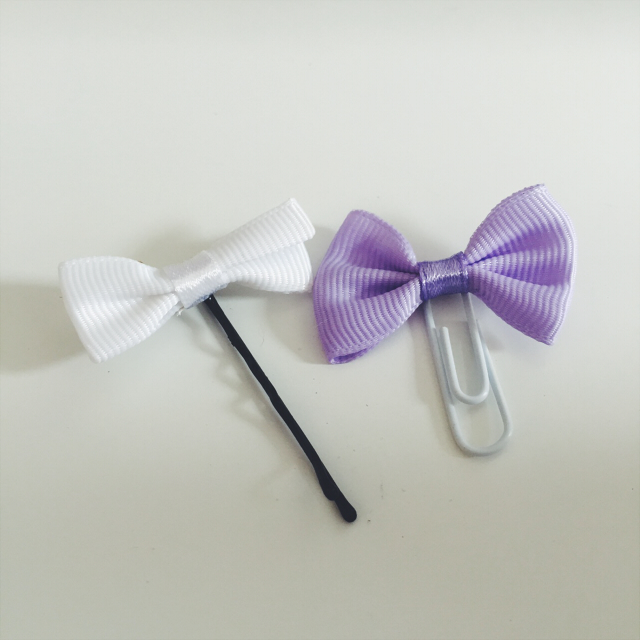 I also added a bow to a small paper clip and also a hair clip. 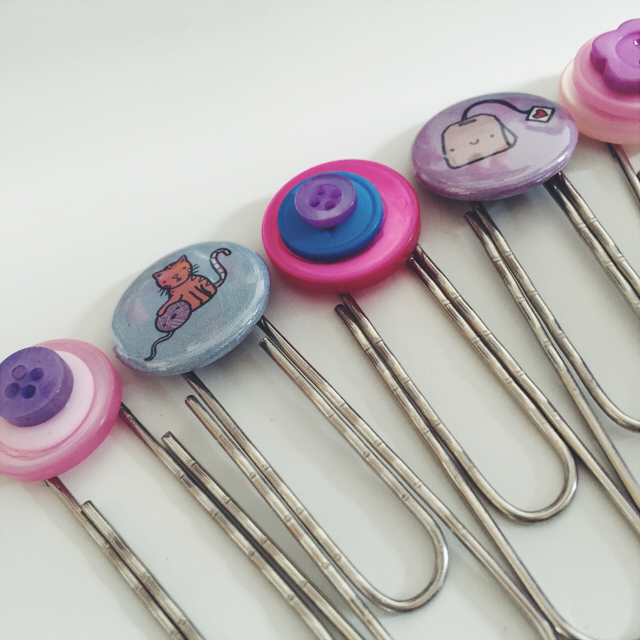 I thought I could use the hair clip as either a page marker or even for my hair. I really love the bow on the paper clip. It's so cute. 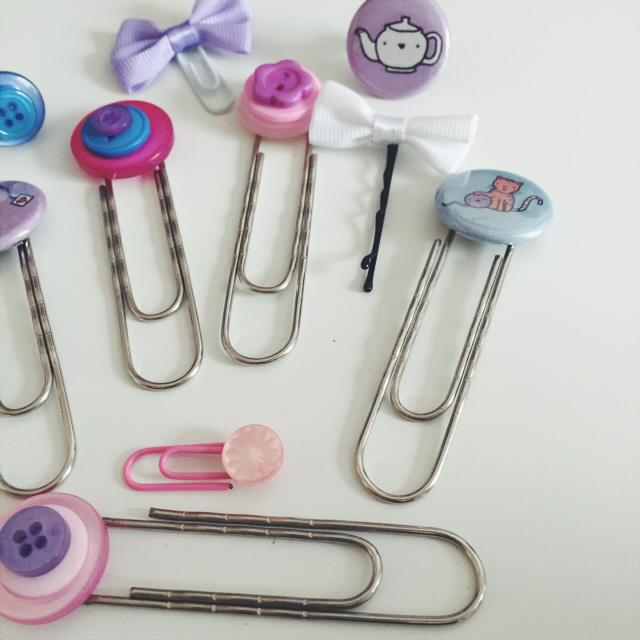 I think I'll be making more of them and possibly the hair clips. My sister suggested using them on our dolls. I may wear them too but they're a little cutesy for my dress style. We'll see though. I found the pins also worked out well and I plan to make more of these to make my pin board a little more exciting. 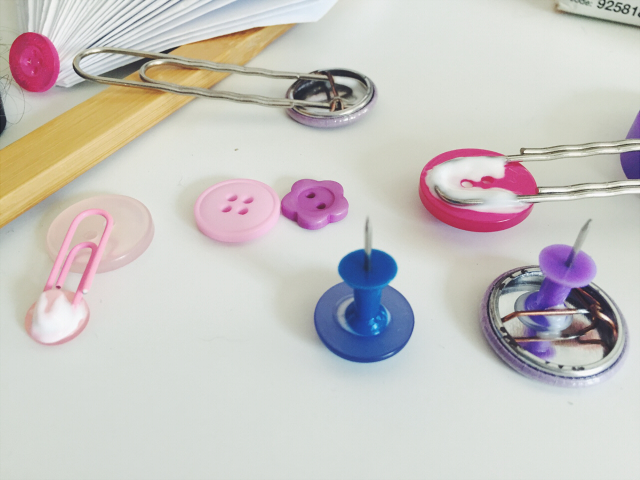 I also think it's another great way to repurpose the pin badges that otherwise sit in my drawer. In the end everything worked out well and look super cute. I'll be able to use them in my Filofaxes but they could also be used as bookmarks if you're a reader. I may even add these to my Etsy store once I finally get it up and running! 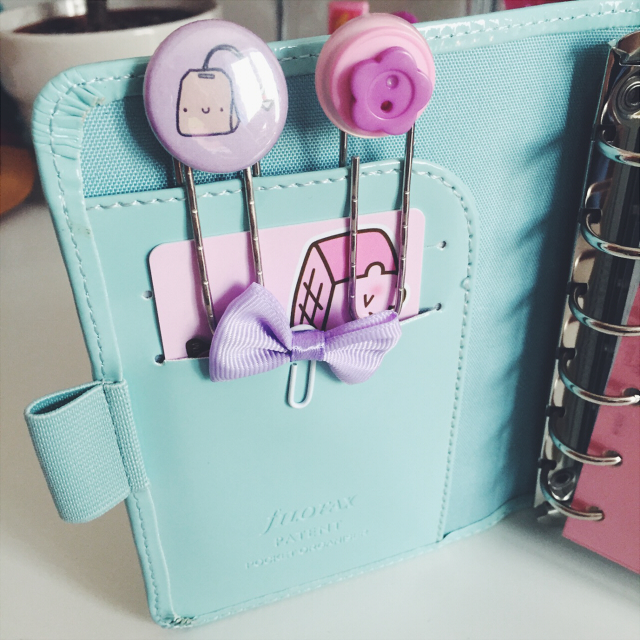 My new patent duck egg blue Filofax arrived just in time for me to take some photos of my new paper clips in use! Bear in mind this is an unused Filofax and there's a lot I want to do to it to give it more personality. Still, I think it looks super cute already. I'm a little in love with this Filofax but I've ordered one from Collins too. This one is a pocket Filofax and the Collins planner is a personal one, meaning it's a little bigger. It's pink, so these will look cute in it too. But yeah, I had a lot of fun making these. 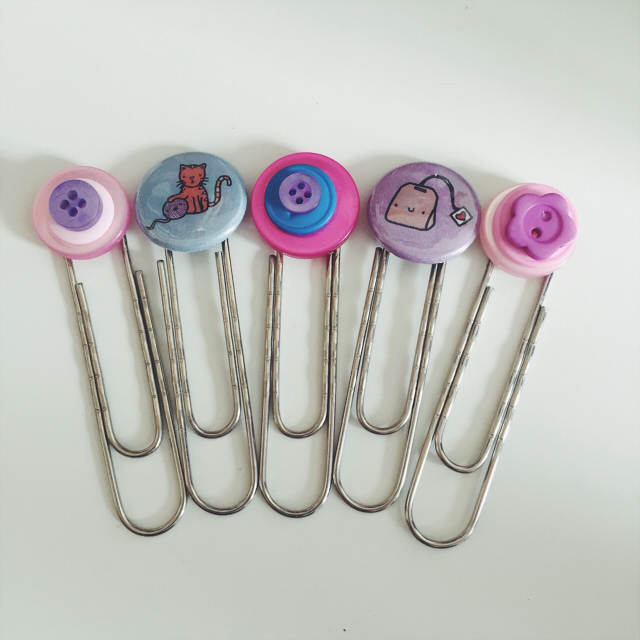 They are simple and effective for giving an extra bit of colour and cute to your organiser or pin board. 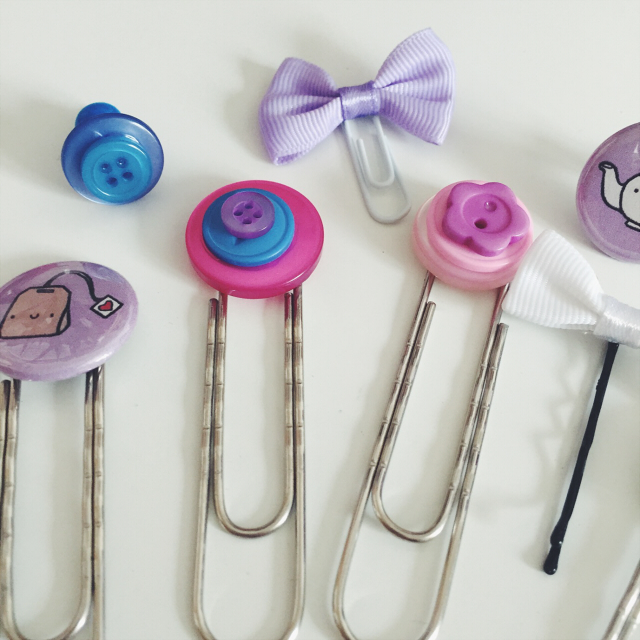 Cute clips! I was never quite sure how people made them. Also, I love that you have Freaks and Geeks pins. That show is so great!